Okay, so we all know how unpredictable and cold a Wisconsin or Minnesota winter can be. BUT, I think a lot of us midwesterners aren’t willing to give up going outside all together for 5 months out of the year. So how do you stay warm? Better yet, how the heck do you stay warm when your out getting your photos taken? Well, below are some tips for staying warm during your photoshoot in the winter. 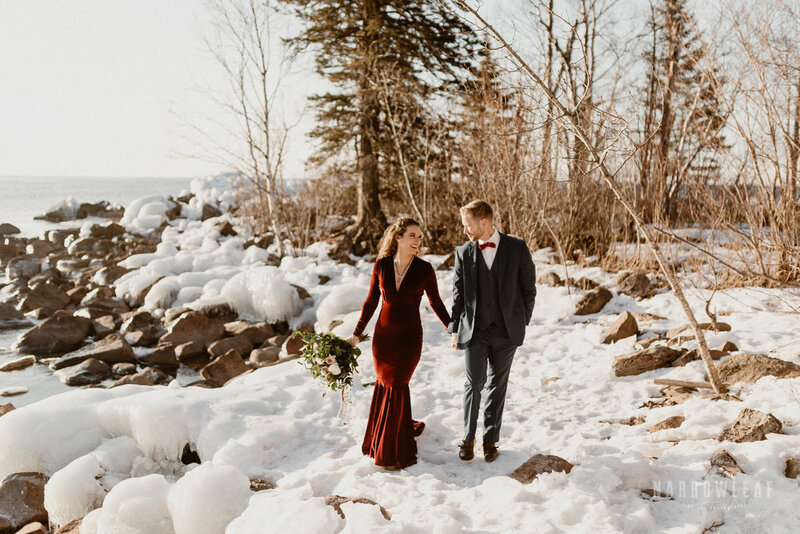 These tips apply to anyone opting to do their engagement photos, elopement or wedding in the cold months to revel in the beauty of a fresh snowfall or even a frozen waterfall! Are you envisioning wearing a dress? Make it long and don't be afraid to wear some cute leggings underneath! Also, with a long dress, keep those toes warm with some wool socks and cute boots! Even if your not going the dress route, wearing good base layers under your pants and shirt can really help keep your body heat in and reduce freezing from sweating! What I wear for a base: Under Armor ColdGear UA Base 3.0 leggings (Note: not recommended to be warm alone!) 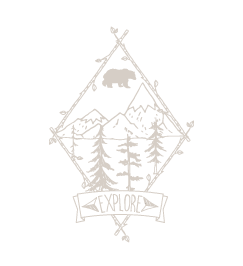 I wear these under my hiking pants or jeans, depending on just how cold it is and how much hiking we will be doing. Literal lifesavers in the winter! Keep em in your gloves and maybe even shove a couple in your boots! I never go out on a shoot without them! Pro tip: crack them open about 20 minutes before the shoot and start using them BEFORE you get cold! Gloves, hats & scarves are still a must! Even if you toss them off every 10 minutes for photos, trust me, your gonna want them! When the cold really sets in, and your even the slightest bit uncomfortable, please tell me! We all have different comfort levels when it comes to temperature. I want you guys to have fun, not be frozen and miserable! We can take as many cuddle in the car with the heat blasting breaks as needed! No worries there! If your a glasses wearer like me, consider popping in your contacts for the shoot. With cold weather brings the dreaded glasses fog up, and if you two are getting all face to face, your glasses are gonna wish you hadn’t warn them!! Don’t be afraid to have fun! Throw snow at each other, roll around in it, make a snow man! Whatever, just be your true selves together! If you want to wear cute shoes, pack them and wear your warmest snow boots for the trek! It’s amazing how fast our fingers and toes can get cold, then it feels like an eternity before they are warm again! Pack extra mid layers just in case, or for the walk back! Wool is perfect for this, especially a big chunky sweater or zip up. After being out in the cold for awhile, you may find yourself chilling more over time, so having another layer to pop on can make all the difference! Bonfires can keep ya warm and is a good excuse to cozy up with each other on camera!